When we participate in sports we put our all into it and sometimes can come out with muscle injuries or painful twists, we can slip or be tripped and end up with abrasions, our bodies take a real battering. 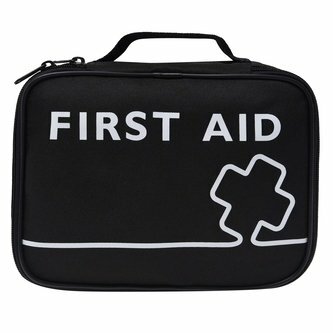 Help to deal with any injuries by keeping this Greenstone Distribution Team Sports First Aid Kit close to hand. This kit is supplied in a robust and innovative case ensuring your supplies are easy to organise and access whilst being easy to carry with the grab handle. This easy to carry kit enables the first responder to take the kit directly to the casualty and provides easy access to all first aid essentials.